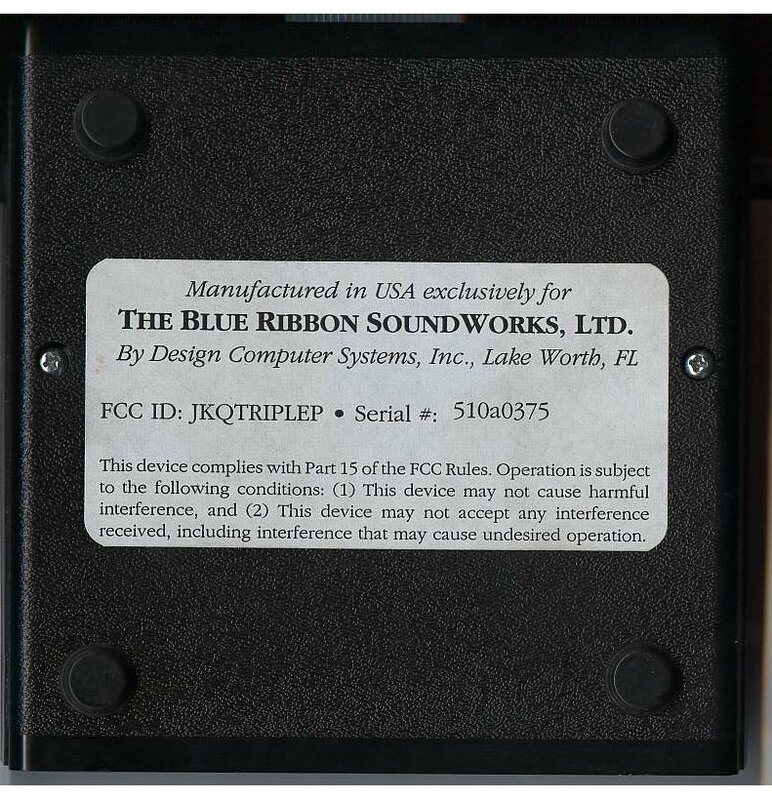 The Triple Play Plus is a multiple MIDI-Out box originally designed for use with Blue Ribbon's Bars & Pipes software. The box contains three independent MIDI outputs, each having it's own set of 16 MIDI channels, giving a total of 48 MIDI Channels. It can also be used with any software that supports the CAMD MIDI library via a special driver, and as a "normal" single-output MIDI interface with any other MIDI software. The second and third outputs are redundant in this case. The box contains a long shielded ribbon cable for connecting to the Amiga's serial port and 5 female 5-pin DIN sockets. 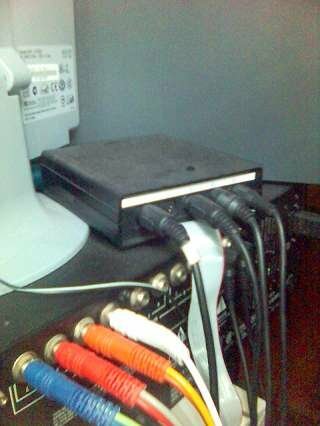 The DIN sockets correspond to MIDI In, MIDI Thru (which replicates the data sent to MIDI In), Out 3, Out 2 and Out 1. Page contributors: Mike Clarke, Steen Jessen.